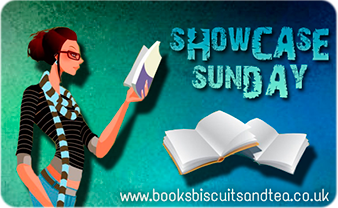 Showcase Sunday is a weekly meme brought to you by Vicki from Books, Biscuits and Tea. In this posting, one discusses books that one has acquired through various means in the past week, those recieved for review, borrowed from libraries, purchased from stores--even stolen, one supposes, from friends, although I doubt Vicki would approve. She appears to have a good head on her shoulders, so we shall hope for the best, and not make any flippant accusations about you, cautious reader. This edition will be a lesbian edition for no reason other than Malinda Lo has charmed me with her writerly wiles and one feels one has been neglecting her feminine side in her reading diet. It's April Fool's Day (and a Monday!) so anything could happen. First things first, Malinda Lo: she's well known for her retelling of Cinderella, Ash, which I have heard many good things about. 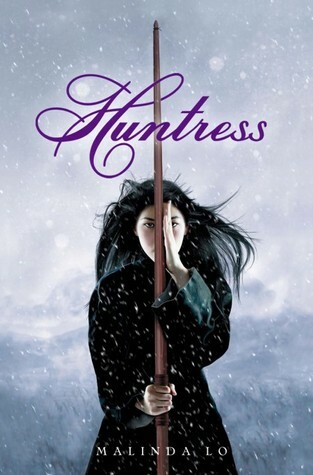 Huntress is a prequel to the story told in Ash, inspired by Imperial China and the I Ching, and also had people excited. However, Malinda Lo finally got me to read one of her books when her SciFi YA novel, Adaptation, came out last fall. I read it within weeks of it's release, surprised that I didn't have to wait for 4 people to finish and return it before I got it from the library's pull list. I've heard it wasn't as smooth a story as Ash or Huntress, but considering it's a gear shift to something more like the books being churned out like chickens these past few years, set in the near future, and it's plot sharing more in common with the X-Files than either of the aforementioned novels, I wouldn't expect the transition to be smooth. 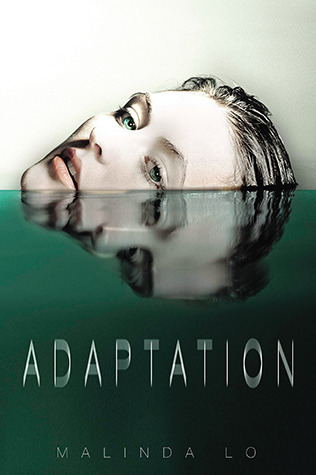 I liked Adaptation because it was authentic to it's roots and unique in a sea of similarities. I'll have more nice things to say about it when I re-read and review it. Sappho's Fables by Elora Bishop and Jennifer Diemer is a recent discovery, and I've been avoiding reviews aside from the initial positive ones on the bookseller's website. This wife-and-wife team of writers has published their first three novellas of retellings as one book. Seven is a retelling of Snow White, Braided is Rapunzel, and Crumbs is Hansel and Gretel. 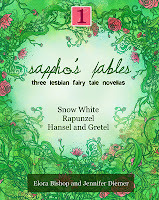 It's also 'Volume 1' of an unknown quantity, so here's hoping to many interesting lesbian retellings. Tipping the Velvet by Sarah Waters is well known to people who've British-TV fans long enough to have heard of it. It was successful not only because of it's entertainment value, but because of it's historical accuracy. I finally own it. 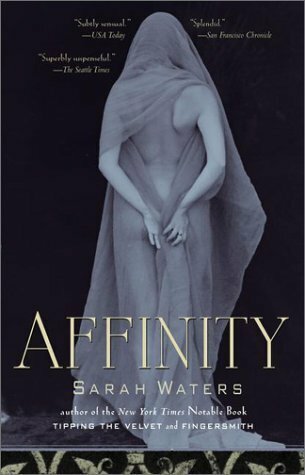 Affinity by Sarah Waters is a book I've had on my shelf for a while, but haven't read yet. The Cover is what pulled me in for this one, but I have much higher hopes for this than the last cover that had me at first-sight. Sarah Waters is probably as well known as lesbian literature as Malinda Lo, and she brings something very nice to the discussion: historical romance. Fantastic. Lastly come the two romances I bought from Carina after realizing I was on the verge of owning all of Harper Fox's books. There were only 3 or 4 in Carina's ebook store to begin with--pickings were slim. But! 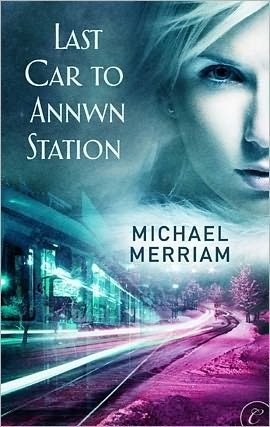 Last Car to Annwn Station by Michael Merriam looks very interesting, seems to be more ghost story than lesbian romance, so I may have gone off track here, and may also be inducing nightmares for the next week, but the cover is very pretty. I have mixed feelings about Cathy Pegau's Rulebreaker already. 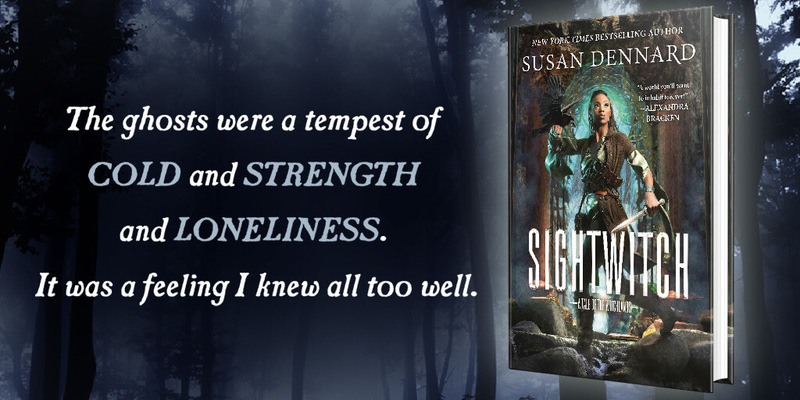 Not because of the spotty edit done for the cover, but more because I know lots of people were disappointed by it. Samhain will probably have some better offers when I look in on them in the future. That's a lot. And I already had a full contingent of ikea shelves before this... I'll let you know how it goes.